As the dust settles on a frantic weekend of racing, we want to bring you a round-up of the weekend from our perspective, we’ll have the results, pictures, news and everything in-between. 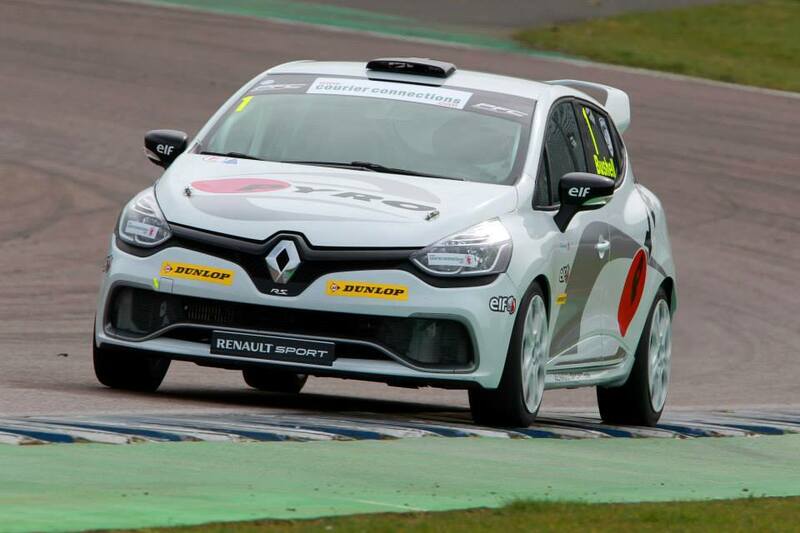 This weekend saw the opening round of the British Touring Car Championship along with the support classes that make up the TOCA package. 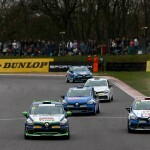 Brands Hatch the venue, as has been tradition to open and close the season, with the first visit of the year to the 1.2mile Indy circuit. 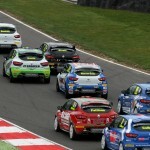 Along with the main BTCC races, the TOCA package brings with it a multitude of support races, each providing great entertainment in their own unique way. 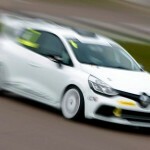 Our focus was obviously firmly on the newly named Courier Connections Renault UK Clio Cup series, with this being the first race outing of the new 1.6 litre turbo-charged 4th generation Clio and a grid consisting of some veteran Clio talent, previous champions and some highly tipped youngsters the Clio Cup promised some good racing. 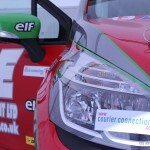 We were also excited to see a full grid of Clio’s sporting the Courier Connections title sponsorship. 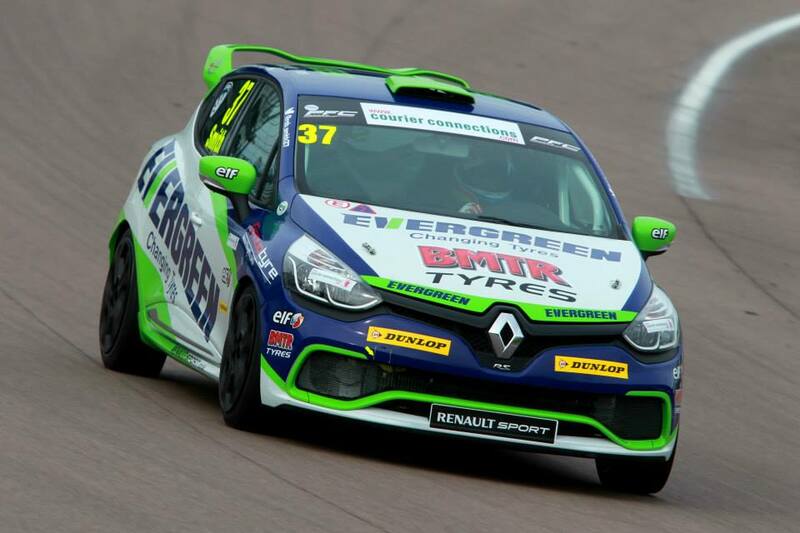 Leaving on Friday for the 400mile trip to the Kent circuit meant that we missed out on watching the free practice sessions on the Friday, being new to the championship as a title sponsor this was a weekend of firsts for us! 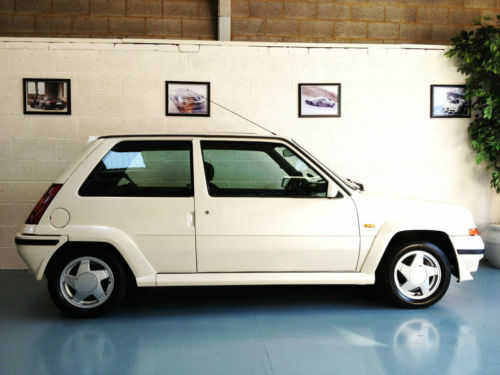 We would have liked to have been unveiling the Renault 5 GT Turbo Winner’s Prize this weekend, unfortunately some last minute restoration issues put a stop to that, so a last minute alternative was sourced and we made the journey down. 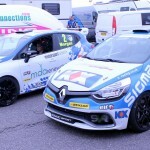 Late night arrival at Brands Hatch on Friday meant that we would be waiting until Saturday to see any action in the paddock or on track. 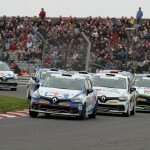 Parked up in the support paddock made for an excellent view of Paddock Hill bend round towards Druids. 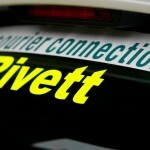 Saturday morning saw Touring Car Free Practice with the qualifying session for the Courier Connections Renault Clio Cup getting underway at 11.20. 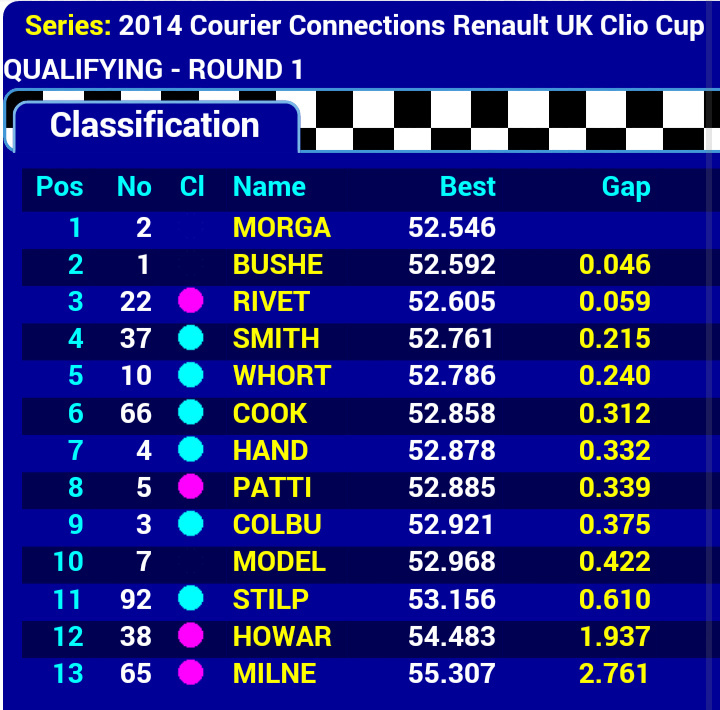 The qualifying session was the first time we seen the new generation Clio Cup cars run in-anger on track. 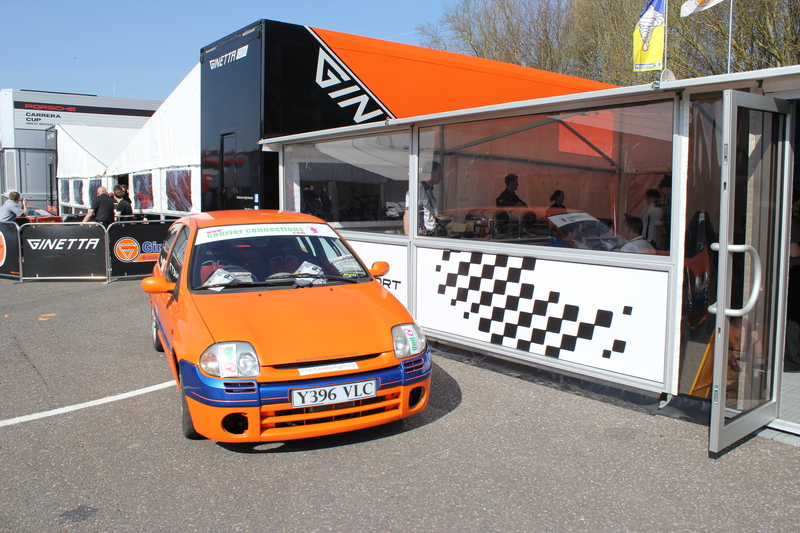 The session was frantic with times being close throughout the field, the sun-soaked circuit providing a perfect base to push the new turbo’d cars to the limit. After the checkered flag flew, signalling the end of the 20mintue session, lap times could not have been closer, with the top 11 cars separated by less than 3/4 of a second. 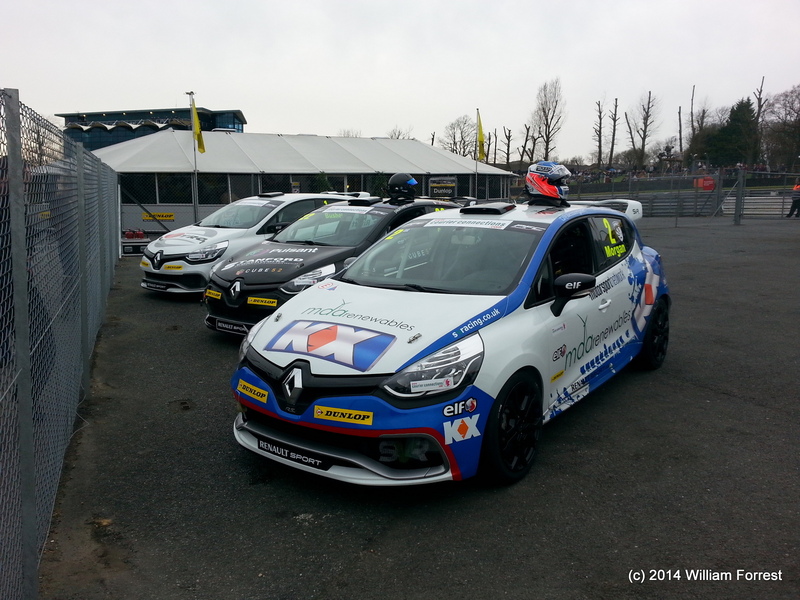 It was SVRacing/KX Akademy driver Alex Morgan that came out on top, closely followed by the defending champion Mike Bushell of Team Pyro and championship veteran Paul Rivett in hot pursuit in third for the newly formed WDE Motorsport. 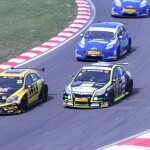 No major mechanical dramas for any of the drivers meant that all focus could move to getting their cars setup exactly as they wished for the first race of the season in the afternoon. 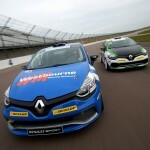 The first Clio Cup race of the weekend scheduled for 4.25pm directly after the qualifying for the BTCC. Once Andrew Jordan had put his Pirtek Racing Honda civic on pole position in the Touring Car qualifying it was time to line up the Clios for the first race of the 2014 Courier Connections Renault UK Clio Cup. 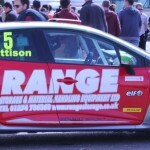 the 2nd of the weekends races, on the Sunday. 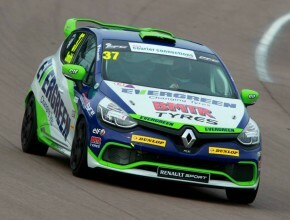 The close racing displayed all the way down the field, setting us up nicely for the second of the 2 Clio Cup races to take place on the following day. Scotland with us. The second generation Clio was displayed outside the Renault Sport hospitality center, gleaming in the English sunshine but we do promise to have the Renault 5 GT Turbo on display at the next meeting at Donington! 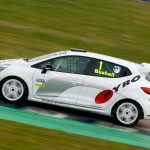 “I love this new car, they keep getting better and this is the best one yet. 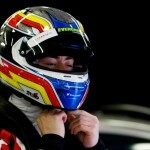 It’s a real driver’s car, it’s harder to drive than the last one,” he told TCF. 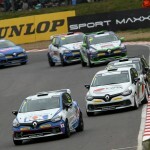 So, as the sun rose over Brands Hatch on Sunday morning for what looked set to be another glorious day, we were excited to see the 2nd of the weekends Clio Cup races. 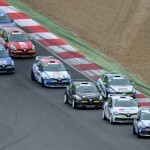 Scheduled for 3:30pm, there was the small matter of a couple of British Touring Car races to enjoy first, with a packed grid consisting of 30 cars and 7 previous champions the action did not disappoint, plenty of close racing ensued with Andrew Jordan coming out on top for first 2 rounds of the BTCC. on pole position again, it was always set to be a close race. 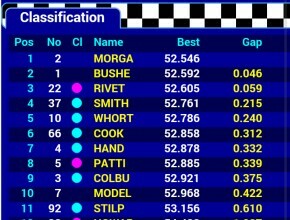 Morgan had pressure from Bushnell and Rivett who stayed on his tail the entire race, with Rivett eventually making a move round the outside of Druids to take second place. 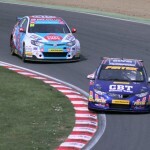 Morgan put in a fantastic defensive drive while maintaining the pace to stay in first place. 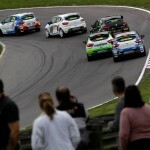 Meanwhile Rob Smith all the time looking keen in 4th place until Whorton-Eales eventually found a way past on lap 17. 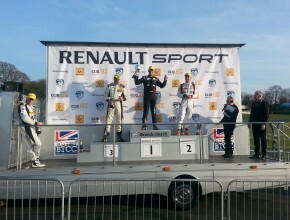 The top four drivers crossing the line with less than 1 second covering all 4, Mike Bushell setting the fastest lap with a 52.895s whilst trying to pull way from Rivett on lap 5. 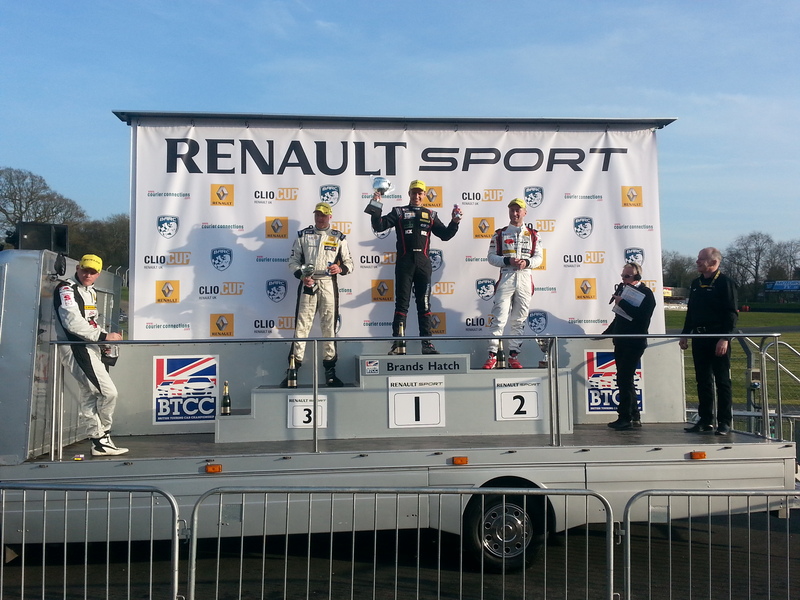 The second race of the weekend finishing with Alex Morgan taking his second win of the weekend, Paul Rivett taking 2nd and Mike Bushell in 3rd. 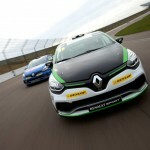 So with the second Courier Connections Renault UK Clio Cup race of the year complete, it was down the the touring cars to round out the weekend with another exciting race. 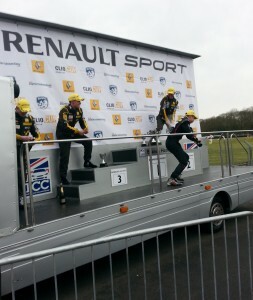 Colin Turkington taking the honors closely follow by Matt Neal and Jason Plato. 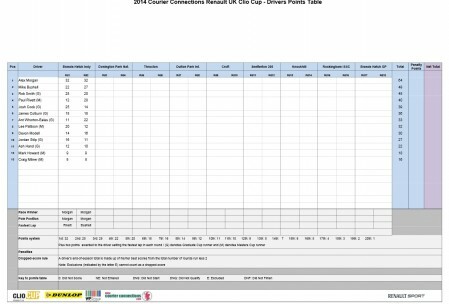 The exiting and close racing displayed throughout the main races and the support package this weekend has really wet our appetite for the season to come, its looking too close to call in the Clio Cup at the moment with over half the field realistically having the pace to grab a race win. We would hate to pick a favourite at this early stage. 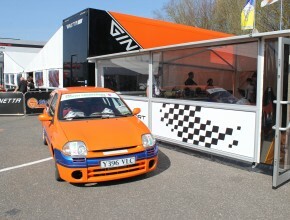 All we can say is that we are truly looking forward to the next meeting at Donington Park on the 19th and 20th of April! 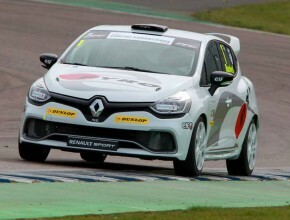 On that note, it would be rude of me not to mention our ticket giveaway – we are giving you the chance to grab a pair of tickets to Donington Park to see all the BTCC and Clio Cup action for yourself. To enter just visit our Facebook Competition here. 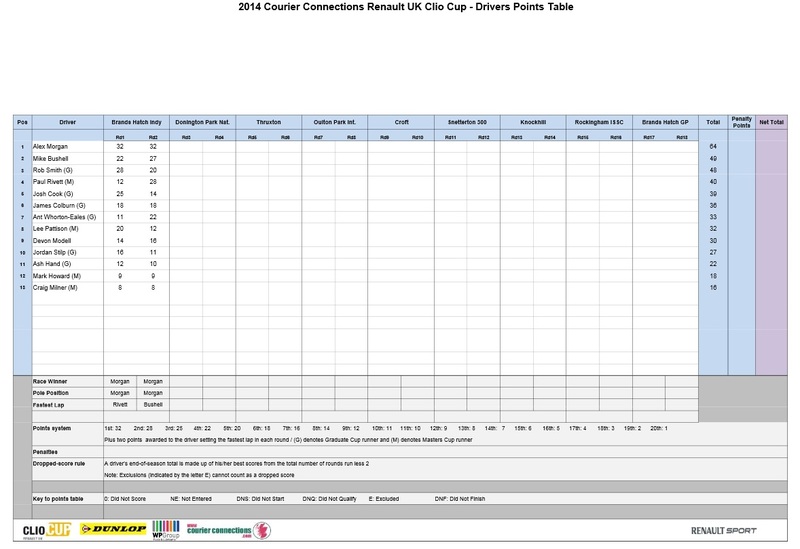 Alex Morgan leading with 64 points followed by Mike Bushell on 49 and Rob Smith on 48. Its all to play for at this stage! The drivers displayed some excellent racing for us on Saturday and Sunday that we thoroughly enjoyed. 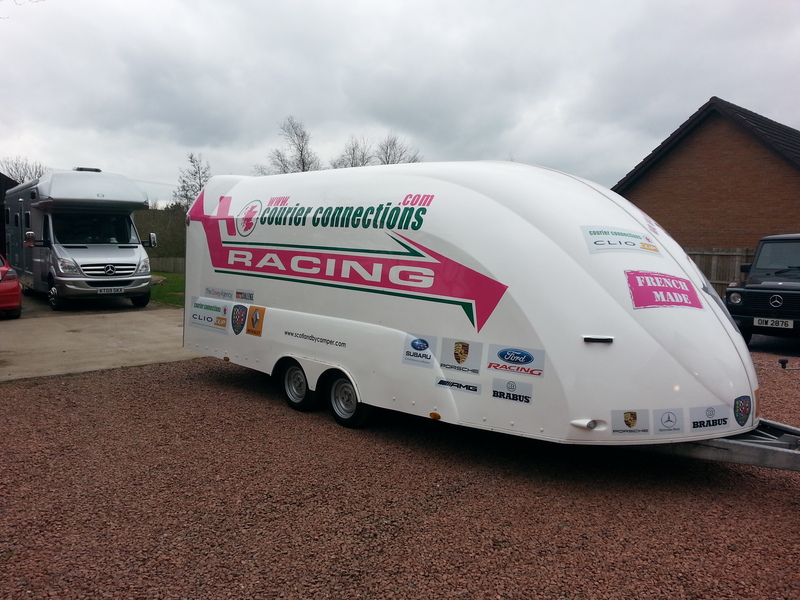 Thanks to Mike Bushell for the tour round his car on Sunday and to all the drivers who kindly stopped to allow us to grab a couple pictures next to our trailer. 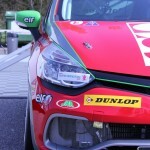 With that, I’m away to watch and enjoy the ITV4 coverage of Sundays race and I hope to see you at Donington Park on the 19th and 20th of April. 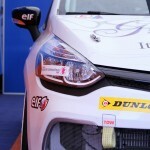 I shall leave you with some of our favourite pictures from around the paddock at the weekend. As things stand, we are still aiming to get the Renault 5 ready in time for Brands Hatch at the weekend. However, the picture below shows how it looks at this very moment. Bad paint reaction on the first attempt meant that we had to strip it back down and start again. Currently the interior is still to be re-upholstered, paint to be completed, glass to be re-installed and livered in time to leave for Brands Hatch on Friday. Its like an episode of Overhaulin’ here this week!! 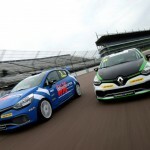 With less than a week to go before the opening round of the new Courier Connections Renault Clio Cup season, our friends over at The Checkered Flag have been looking at a preview of the seasons drivers and teams. 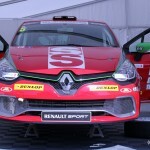 While there may be a new car this year, there’s a number of familiar faces coming back to drive them, including six race-winners from 2013 who will be aiming to make history as the first champion of the new generation. Leading the entry with a formidable line up of series returnees is SV Racing, formerly Scuderia Vittoria, who house KX Akademy quartet Alex Morgan, Ash Hand, Josh Cook and Ant Whorton-Eales, the first two joining the team from Team Pyro, Cook from JHR Developments. 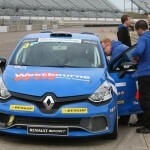 Hoping to capitalise on all their experience for a title push are two third-year Clio competitors, team newcomers Mike Bushell and Rob Smith. 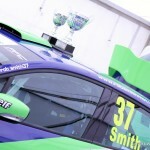 Bushell joins the team after a mixed 2013, in which he took three podium finishes whilst changing teams twice, while Smith is hoping for an upturn in fortunes after taking just a single top six finish last time out. 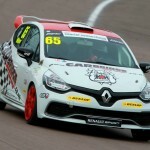 Experienced Clio campaigner James Colburn meanwhile is back for his sixth successive campaign in the series with Westbourne Motorsport. After winning on the first and last weekends of 2013, he’s aiming for more regular successes and a first title challenge since 2011 this time out. 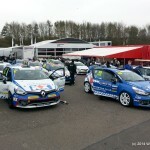 The season commences at Brands Hatch this weekend, 29/30 March, with pre-event testing on Friday following by the first qualifying session of the season on Saturday at 11:20. 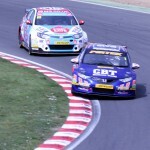 Round One will follow later in the day at 16:25 with Round Two to be televised live on ITV4 on Sunday at 15:30. 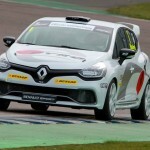 The series will follow the British Touring Car Championship for all ten rounds this year, the first time since 2010 it will run over twenty rounds, returning to Brands Hatch for its final rounds in October. 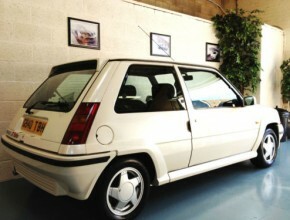 In a neat twist to help celebrate and acknowledge Renault UK’s 40th anniversary year in national level motorsport in Britain, as well as our 20th year in business, we have decided to put forward a one of a kind winner’s prize for the first British champion of the fourth generation Renault Clio Cup era – a restored, classic Renault 5 GT Turbo road car! As avid classic car enthusiasts ourselves we wanted to present the winning driver with a pristine example, in order to do that we needed a solid base to start our restoration. Below is a couple of pictures of the car the day we purchased it. 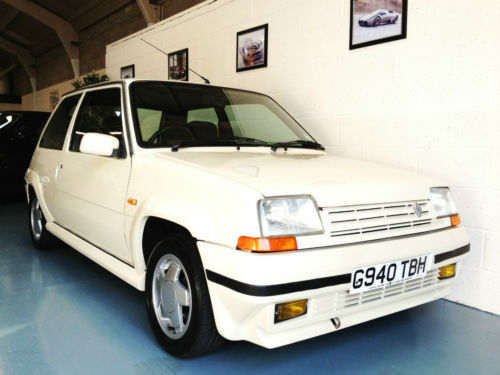 The car has 60,000 miles on the clock and we are the 4th owners, the car has full history including tax discs, dealer and service stamps from the original seller, W. Waters & Sons Ltd. of St. Albans. 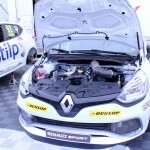 As you can see, the car was a good example to begin with but we were looking for perfection! 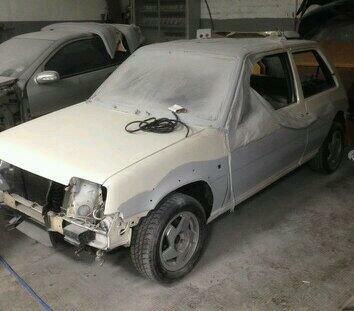 So as we speak the car is currently stripped out ready for paint this weekend along with a full interior re-trim. We will have it back together and in Courier Connections Racing livery in time for the first meeting of the year at Brands Hatch next weekend, at least that’s the plan! 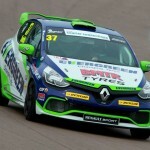 We’ll use this section of our site to keep you up-to-date on the car’s travels, from purchase, to paint, through the racing circuits of the full season to the presentation for the winner of the 2014 Courier Connections Renault UK Clio Cup championship. So keep it here for news and updates on the car throughout the season, we look forward to unveiling it properly at Brands Hatch on the 29th!